Christmas is right around the corner! Here is a list of Christmas Shows in which I will be participating. Notecards and photographic prints, large and small, will be available for purchase. 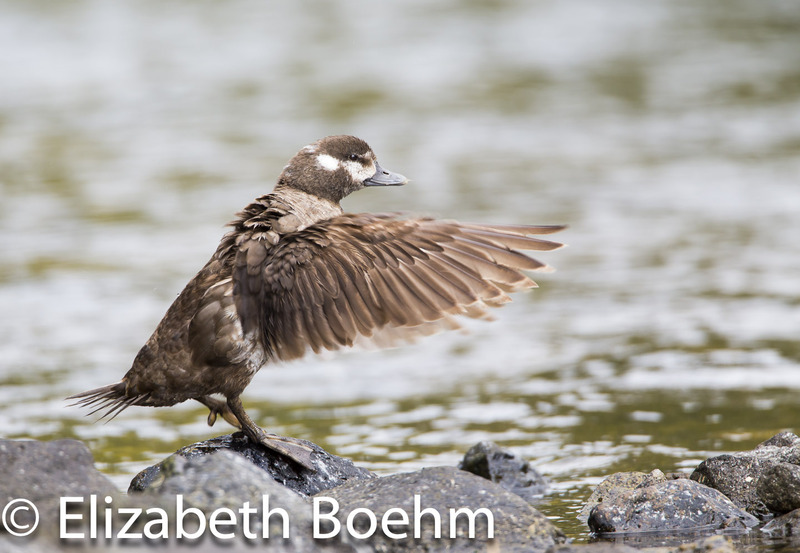 I also welcome orders via email:eboehmphoto@gmail.com or telephone 307-367-7018. November 1-2 Pinedale Holiday and Craft Show at Rendezvous Pointe, Pinedale, WY, Friday 5:00-8:00 PM and Saturday 10:00 AM-3:00 PM. 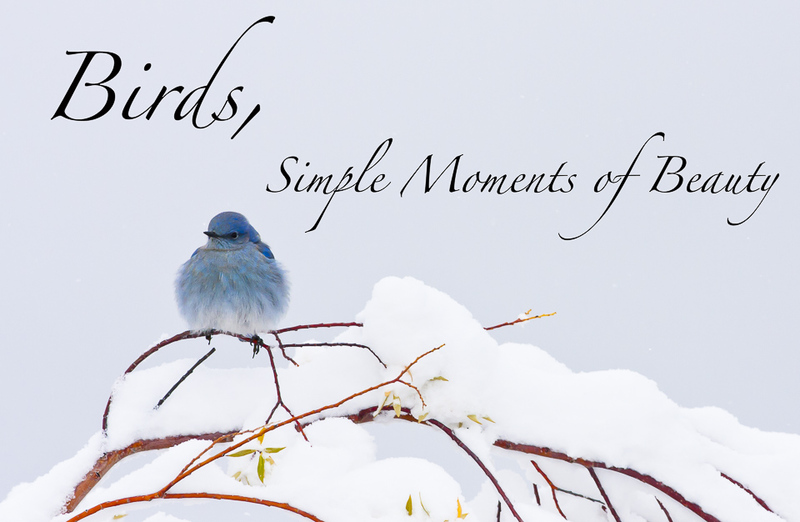 November 5 “Birds, Simple Moments of Beauty”, A photographic presentation on our local birds along with a short discussion on the Pinedale Annual Christmas Bird Count. This event will be in the Sublette County Library in Pinedale, WY starting at 6:30 PM. November 23 Big Piney Christmas Bazaar at the Big Piney High School, Big Piney, WY 9:00 AM-2:00 PM. December 7 Jackson Hole Christmas Bazaar at the Snow King Sports Event Center, Jackson, WY 9:00 AM-5 PM. December 29 Pinedale’s Annual Christmas Bird Count. Look for more information as we get closer to the date. 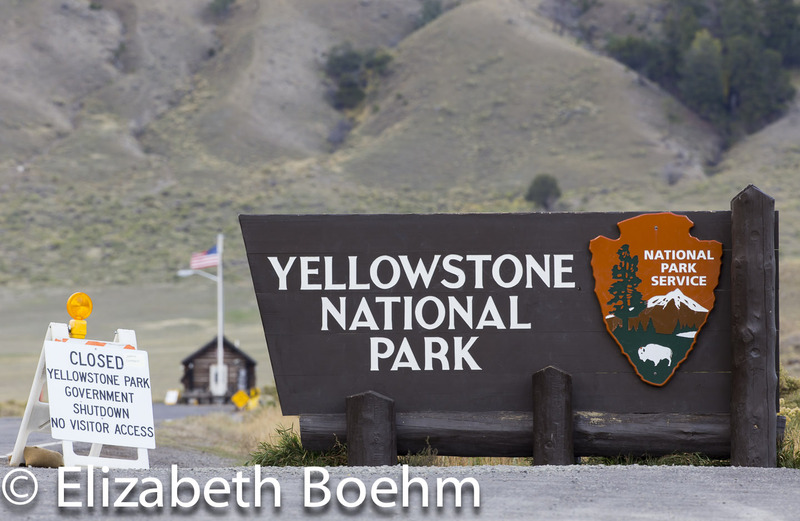 I recently visited Yellowstone for a long weekend of photography with a good friend and awesome photographer. Yes, we ended up getting closed out with the gov’t shut down. We only lost one day but… it still was one day of photography in our first and most amazing national park. Against other adversities such as rainy weather and wind we managed to witness and photograph some incredible wildlife behavior. 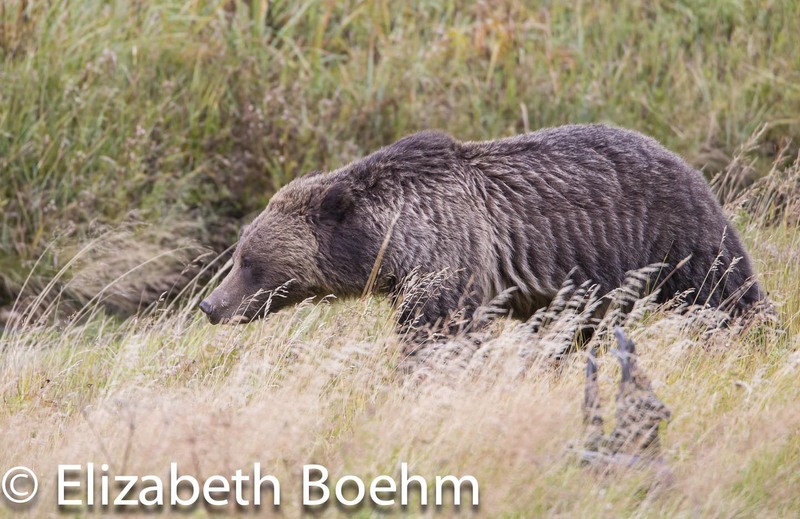 We started the first day with a young grizzly bear along side the road between Norris and Mammoth. The bear fed and wandered downstream, taking his time, doing what bears do. At one point, we took a break from the “bear jam” and ate lunch while a steady rain came down. The bear was taking a nap. It was a short nap and the bear started to wander again. She stopped right in front of us to scratch her back on a thermal area sign. No cameras ready with short lenses!! Ugh!!! We finished our lunch and continued down the road to find the bear taking another nap on a warm thermal area, sprawled out like she owned the place; well, yes she did. This bear was great and entertained these two photographers for hours that day. 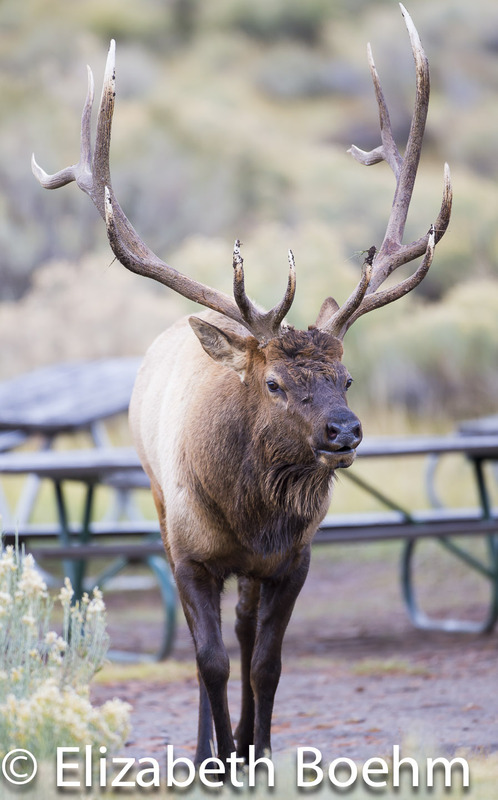 We returned to Mammoth in late afternoon to find a large, bull elk keeping the crowds away from his harem in front of the hotel. Not unusual at this time of year but exciting to watch. Two employees were trying desperately to keep the unsuspecting tourists from getting injured by this grand bull who had no qualms with charging a “too close” visitor, a camera flash, or a vehicle. Day two: We headed for Lamar Valley in hopes of finding badgers, bears, or just about anything to put in front of our lenses. There was not a lot going on and the weather continued to be stormy and windy. We enjoyed lunch in a picnic area amongst Gray and Stellar Jays, Ruffed Grouse and an American Three-toed Woodpecker who decided it was OK for us to photograph his backside. We left before we wanted, as the wind had picked up and the sound of crashing trees was all around us. We headed back to Mammoth and detoured towards Norris in hopes of seeing our bear. 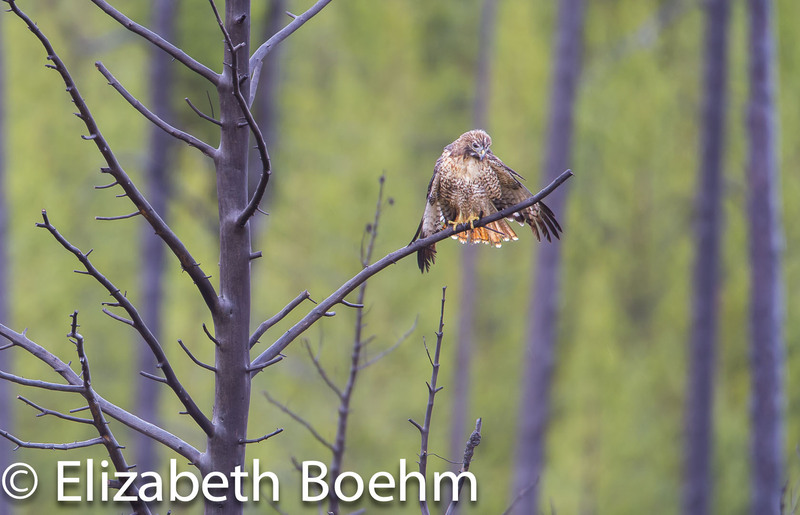 No bear but we found a beautiful red-tailed hawk trying to dry his feathers after the persistent rainstorm.